We would like to thank Bryan Goldthorpe and everyone who helped us make our broadcast possible from Lakeview Park in Lorain. The view of the lake and the Lorain Lighthouse in the morning were breathtaking. 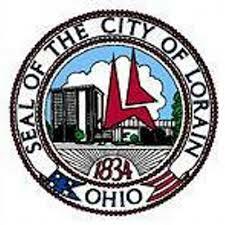 If you missed any of our “Spotlight on Lorain” check out the interviews below to hear about the city of Lorain. We opened the “Spotlight on Lorain” with First Federal Savings of Lorain’s John Malanowski who talked about everything from banking to possible scams in the area. Bill Hurley came by to tell us about the mission of We Care We Share Ministries. Rick Novak of the Lorain Port Authority talks about the hard working men and women who keep the city by the lake safe. Find out about Lorain past and present with Barb Piscopo of the Lorain Historical Society. Mayor Chase Ritenauer stopped by the show to tell us about the many things that are going on in his city. And, with college getting ready to start back up we got some helpful insurance tips from Jim Janasko of Janasko Insurance Agency. Bryan Goldthorpe, Manager of Lakeview Park, dropped by the show to tell us about the beach, the rose garden and history of Lakeview Park. Lorain County Metro Park Naturalist, Mary Ewers told us about upcoming event being put on by the Metro Parks. Dot the dog and her owner Mike Kerr let us know how they keep the beaches clean in Northeastern Ohio.